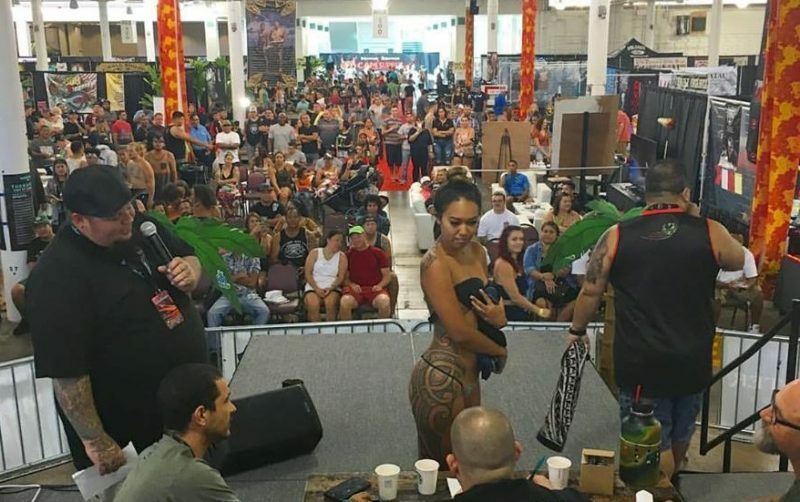 The Pacific Ink & Art Expo returns to the Blaisdell Exhibition Hall in Honolulu August 3-5, celebrating tattoo arts that are at once ancient and distinctly modern. No longer are tattoos a kind of scarlet letter, announcing guilt or regret or longing. It is a cliché now for baristas and bartenders to be sleeved and necked, with ironic slogans like “PURE LOVE” or “TACO BELL” inked indelibly across their knuckles. But cops and lawyers and judges and other figures of authority have them, too. 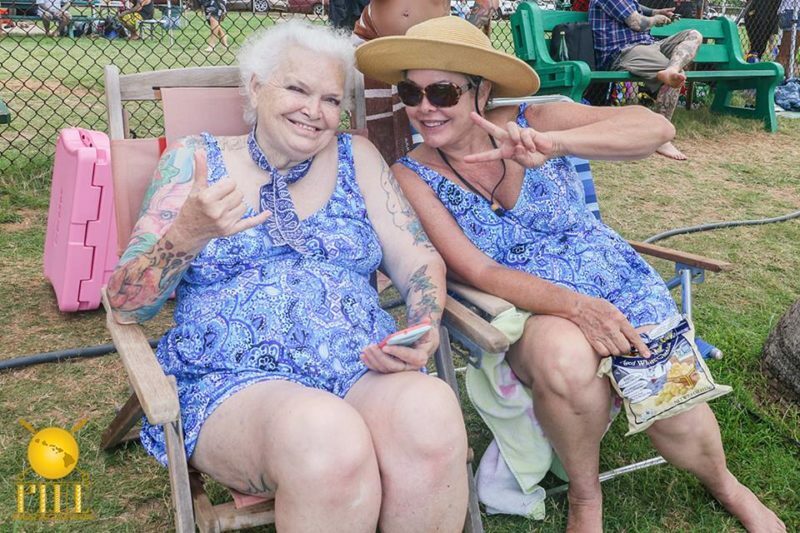 Grandmothers get matching fresh ink with their progeny. The tattoo stigma is a thing of the past. Tattoo contest at Pacific Ink & Art Expo. Photo courtesy. The Hawaii Tattoo & Art Expo gathers the world’s most sought-after talents. All told, the expo will feature more than 400 local and international artists. Among them are Megan Massacre, star of reality tv’s NY Ink and America’s Worst Tattoos. Fellow tattoo stars joining her at the convention include Nikki Simpson of Los Angeles and Justin Cappolino of Tattoos After Dark. Revered Polynesian cultural practitioners Keali’i Makua and Keoni Nunes and Japanese practitioner Horishige are among the traditional artists slated to appear at the 7th annual expo. The Hawaii Tattoo & Art Expo will also include musical performances at Downbeat Lounge and Nextdoor in Chinatown, with bands and deejays, burlesque, and multiple food and drink purveyors throughout the expo’s locations. Grandmas at the PAIE barbeque. Photo courtesy. Tattoos and tattoo culture have made it into the mainstream. There have been and remain multiple reality shows featuring the artists and patrons of tattoo shops around the world. The appeal of those shows may lie in just how “normal” they all seem beneath the florid designs they wear on their skin. 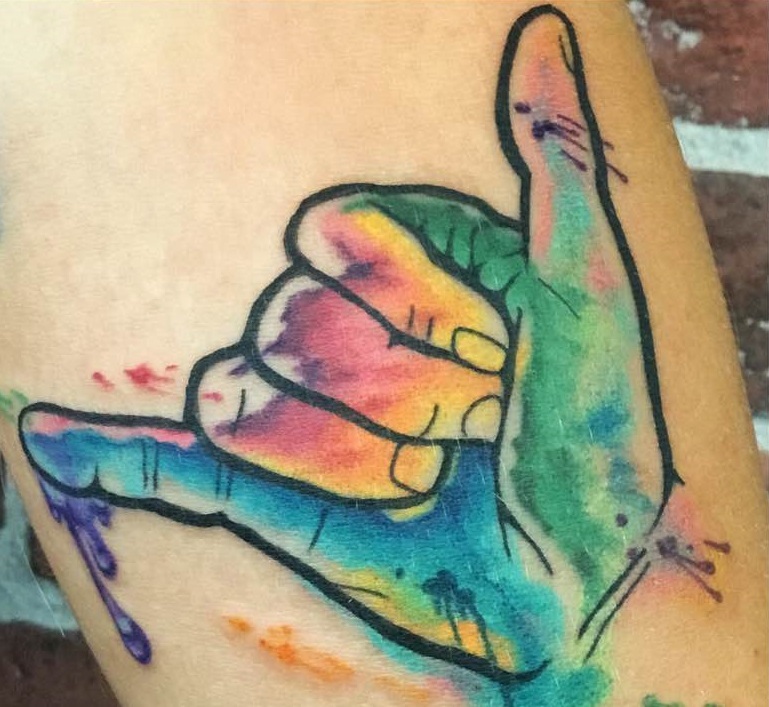 Watercolor shaka tattoo. Photo courtesy. The Pacific Ink & Art Expo is a celebration of the diversity and uniqueness of tattoo arts, and of the people and artists committed to the form. In the not too distant past, tattoo culture wasn’t considered “family friendly.” The PIAE has always been a family affair. It features a “kids zone” and skate ramps, a lion dance and demos by artists, and an artist appreciation barbeque at the end of the expo. 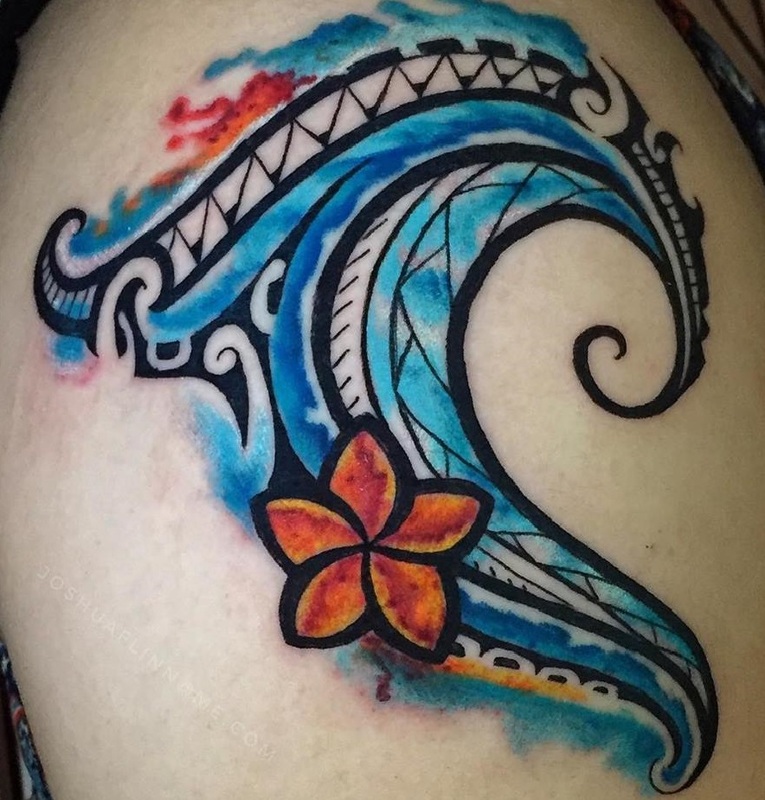 Polynesian fusion watercolor by Joshua Flinn of Tattoolicious. For the truly devoted or merely curious, the Pacific Ink & Art Expo is a chance to experience and purchase the work of talented tattoo artists from all over the world. Learn more about the Pacific Ink & Art Expo on their Facebook and Instagram pages.